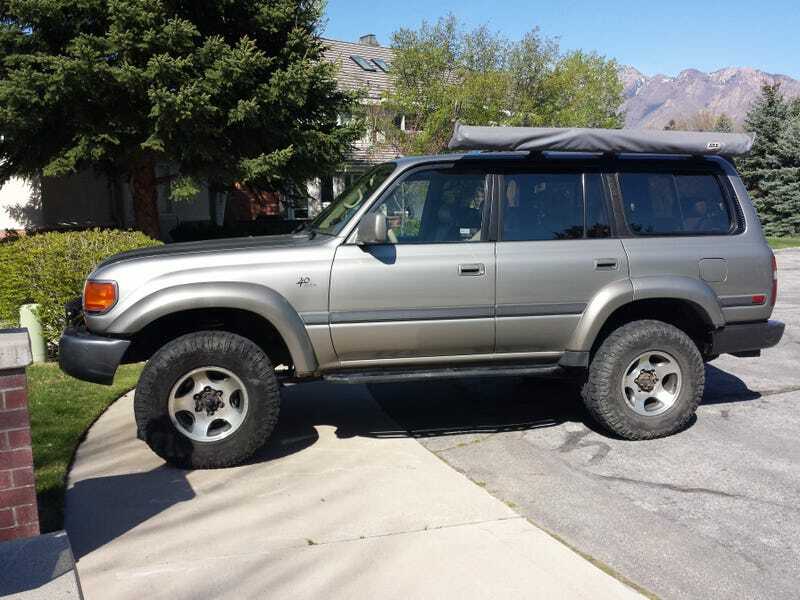 Im thinking about getting a little cosmetic work done to the cruiser - some of it to get rid of rust that was a result of a re-spray from an accident early in its life but some of it also also on account of rust courtesy of what Toyota did at the port because of the American market wanting a crappy roof rack. Water gets under the rack feet and its rusted and there are a LOT of rusted nutserts that are spreading out a little. (Thanks for that Toyota, not only for adding a crappy roof rack but for adding 4 needless vibrating roof rails to the roof) I will wire, prime, and spray the bad roof spots and I have a lot of nutserts to fill in with either bolts or RTV to seal and I was thinking about wrapping the roof. I don’t really care if the matching job on the roof isn’t perfect since the roof isn’t in great shape anyway and you’d need to be over 7 feet tall to have a good look but in the interest of making it look uniform, adding some vibration damping and making the car cooler (tempature) I was thinking about a white roof wrap. Anyone know what the durability of the products are? is it a 5 year thing, a 10 year thing? I don’t want to spend the money if its just going to be short lived thing.